SAN FRANCISCO--(BUSINESS WIRE)--ConvenientPower today announced the debut of WoW5, the world’s first scalable multi-device inductive charger, charging up to five Qi-compatible devices simultaneously anywhere on the charging surface. Until now, multi-device wireless charging pads required devices to be placed with pin-point accuracy above the induction points or specific areas. With WoW5, multiple devices can be placed freely anywhere on the charging surface. ConvenientPower WoW5 will be demonstrated on June 4, 2013 at Computex Taipei booth G436, Exhibition Hall 3 at the Taipei World Trade Center. Safe and efficient: The largest number of devices that can be charged inductively, without efficiency and heat control challenges typical to scalable multi-device chargers. ConvenientPower’s patented coil array, smart localized charging, shielding and Foreign Object Detection technologies deliver efficient, safe charging. Ultra-thin and ample charging surface area: The thinnest form factor at 5 to 9 millimeters, for the largest effective charging surface, to complement increasingly sleek consumer electronics designs. The charging area of the demo offers around 280mm by 120mm for full spatial freedom characteristic of such number of devices being charged. Moreover, there are no "dead spots" or uneven charging as experienced with other “spatially free” multi-device chargers in the market. Scalable: ConvenientPower’s unique patented multi-coil array uses overlapping coils that can be arranged, added and scaled out to fit any size and shape, which allows for easy optimization and customization. Significantly, the customization of the charging surface does not impact the thinness of the form factor. In addition, WoW5 can increase or decrease for the number of devices that can be simultaneously charged for an optimal fit. Hassle-free: Previous generations of wireless charging surfaces were unreliable for consumers because they were plagued by dead spots. Users had to carefully align their device on a fixed spot or specific areas on the charger, and would often discover hours later that their device had not been charging. WoW5 fixes this irritation by giving consumers the flexibility to drop up to five devices anywhere on the charging surface. Reliable manufacturing: A hybrid combination of patented PCB technology with Litz wire produces the most reliable quality and manufacturability for a rapidly evolving ecosystem. Customizable: ConvenientPower’s ASIC chipset can be optimized and combined with the company’s expertise to develop customized applications of WoW5 with maximum performance and value for partners who want to deploy the technology in commercial products and public spaces. 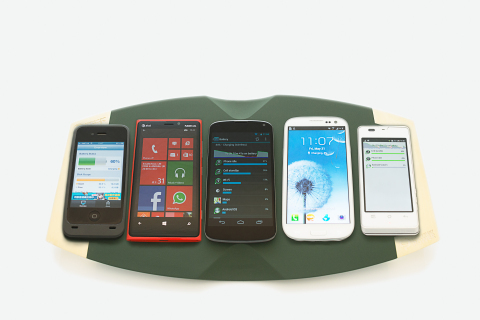 Backed by more than 140 leading companies of the Wireless Power Consortium, Qi is the global standard for wireless charging now in over 250 products, ranging from smartphones and phablets to charging pads, gaming controllers, Bluetooth headsets, even automobile consoles in 2014 model Toyotas and Jeeps. Millions of Qi-enabled mobile phones from Google, Nokia, Samsung, LG, HTC and others are being sold by carriers including Verizon, AT&T, China Mobile, NTT DoCoMo, O2, Sprint and Telefónica. ConvenientPower debuts WoW5, the world’s first scalable multi-device inductive charger, up to five Qi-compatible devices simultaneously anywhere on the charging surface.